An old man sat around a group of children and sat down as the younglings eagerly waited the tales of the old man. He was bearded and looked like a vagabond, with white shaggy hair and an unclean figure. He sported a thick germanius accent and it was evident he was once a citizen of Orchales. "Gather young ones for I am going to tell you the true creation of the most glorious and most diabolical nation in the world. It all begun some 200 years ago. Back then the world was divided into many many countries and cities. Prosperity was achievable and happiness was gained daily. At that time there existed a nation called, the United States of America, and it was the single most powerful nation in the world. It boasted the largest army and navy and it possessed an incredibly advanced level of technology. It was ruled by a political system very similar to our own United Senate, but it was named Congress. Congress was headed by a President, like out Senate, but he had much less power and couldn't rule as tyrannically. However, this all changed when a President named James Washington took office as the 100th President of the Untied States and led a series of massive reforms that granted the president and the government vast powers. A totalitarian oligarchy soon replaced congress and the nation stopped using the name the United States of America and instead opted to be called Vericis Restriglia or Restia. Having the strongest armed forces and the single most stable economy at the time, Restia begun to expand int's borders towards the north and led a series of military campaigns until it seized control of what once was Canada, a sister nation to the dead United States, and seeing them as potential enemies, Restia decided to release nuclear warheads on the county of Mexico. One by one, the nations of the western world fell to the power of Restia and billions of lives were lost yet nothing could stop the might of the singular nation. In efforts to increase there army, women lost much of there privileges and were forced to become prostitutes and whores in service of men. The blood of the innocent painted the rivers and oceans and no tears or shouts could deter the cruelty of Restia. Who thought that the nation that once stood as the guardian of rights and freedoms now committed such heinous acts. Now, the nations of the east did not turn a blind eye on Restia and they bounded together in two alliances called Europeania and Aestia composed of the nations of Europe and Asia. Bent on stopping the tyranny of Restia, Euroneania declared nuclear war on Restia and the third global war soon engulfed the world. Seas rose and continents shook, but after the smoke cleared, even the combined might of the remaining free world could not match the power of Restia and after England, Russia, Spain, Portugal, Germany, Australia, China and France were eradicated, none could withstand Restia. The remaining nations wished to be spared the destruction and chaos the former nations suffered and surrendered. In less than ten years, Restia conquered the entire globe and established the first global republic. The Republic divided the world into eleven pieces. The continent of Europe became known as Orchales, the political and financial capitol of the world, the United States became known as Gladio, where the vast global armies and police forces were trained and equipped, South America became divided into three, Archadios, the scientific center of the world, Teletrum, the source of energy of the world, along with Barius( Norway and the Nordic countries) and Ignasiua, where most of the world's manufacturing and industry was carried out. Africa, having the most natural resources, became known as Doros and stood as the center of mining and jewelry making in the world. Cesca would become the home of the development of home goods and where the various airship fleets was situated, on the middle east. On Oceania, the province of Hispantia was established and it was where most of the products of the other provinces were exported so they would be shipped to Orchales and then the other provinces, Finally, having been the rowdiest one of them all, the people of the north side of Asia and the other half of Russia, became known as Eluscia, the center of information and Intel. Restia also took several changes on its own. 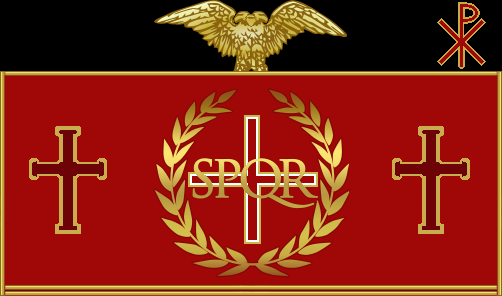 After conquering the world, it abandoned its original name and adopted the name of the United Republic of Regnum, a parody of democracy and diplomacy. Regnum eventually abolished all forms of slavery including the one enforced on the women, but after the grand city of Orchales was constructed by the hands of the defeated enemies of Restia via forced labor. A political system was established during which the people chose there senators via elections and they would in turn choose the next president amongst themselves. Hard to believe, but even thought it is the capital, Orchales is by far, the least corrupt province of Regnum. The senators would create there own individual systems of slavery, but that my children, is a story for another day." Finished the old man as he got up from the gathered children and walked away. Wow. This is great! You're a good author.